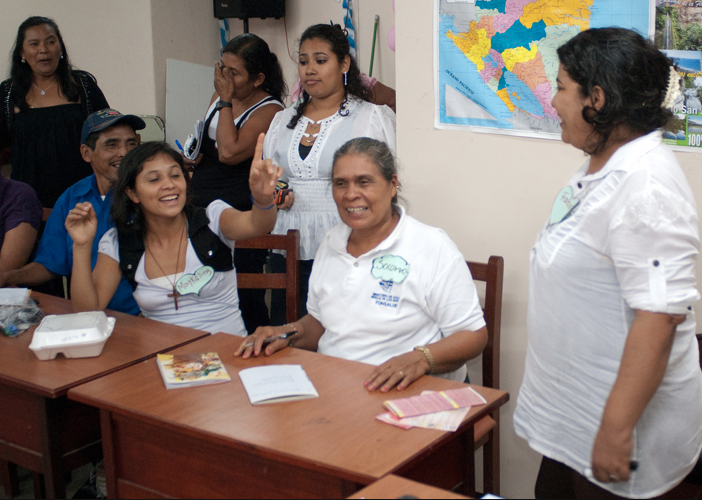 Since 1999, World Community has been directing funds ($10 - $12,000 per year) to support APS in Nicaragua. APS is a non-profit organization designed to improve the availability and quality of primary health care. 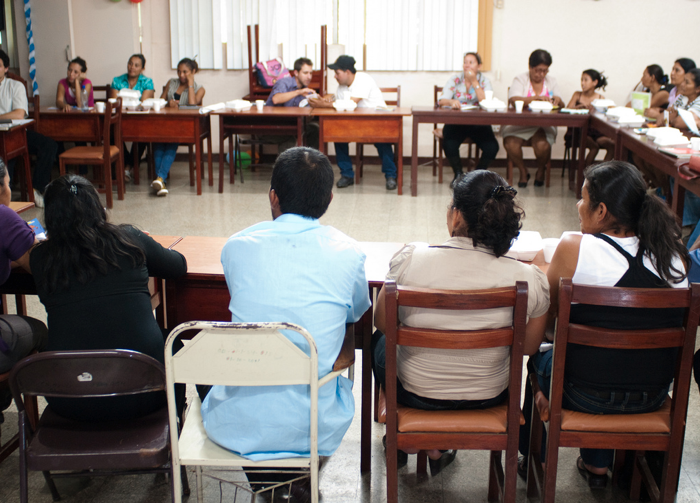 Currently, 250 community health workers provide service to 195 rural Nicaraguan communities. delivers training and education sessions on a monthly basis in central locations to certified health promoters. Health promoters, based from their homes, provide free consultations and sell medicines below-cost within their communities. 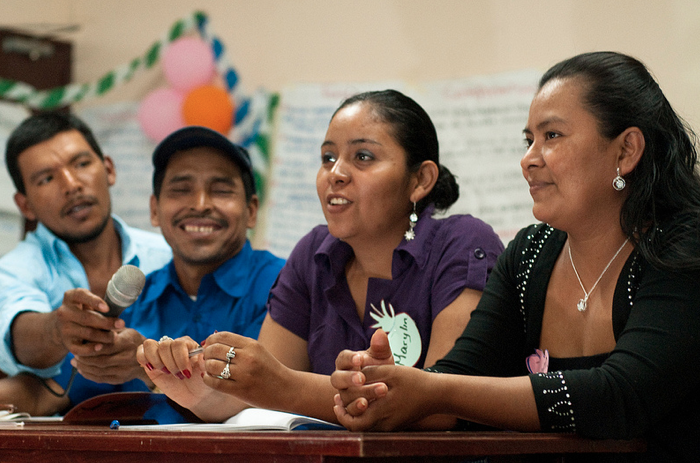 As a result of providing primary health care to their communities, the promoters (the majority of whom are women) develop leadership skills and become community leaders. Many have gone on to create and participate in their community health committee as well as become members of the community-wide council. These positions have led them to direct many development-oriented projects, such as creating access to clean water, building latrines and roads, as well as the creation of nutritional centers for children. They have also been involved with local Ministries of Health and other non-governmental organizations that are involved with many kinds of development activities. 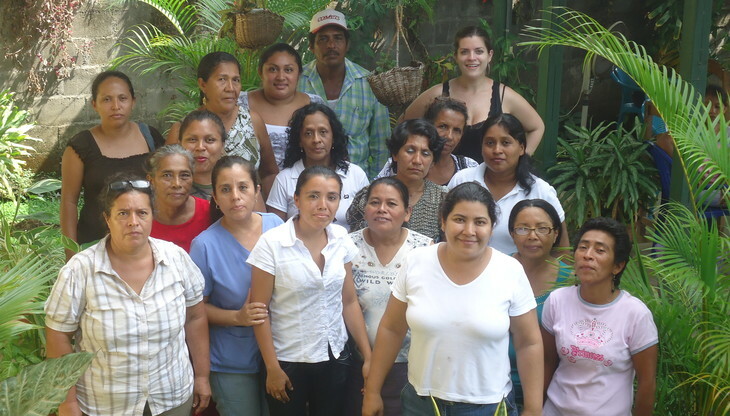 Presently, APS is coordinated by Dr. Fabiola del Carmen Thomas Gonzalez (front row, second from right).